You are here: Home / Blog / News / New Mexico is Booming! New Mexico oil production is booming at levels never before seen in state history, pushing output last year to an all-time record of 171 million barrels, according to the latest statistics from the state Oil Conservation Division. That’s more than double the 85 million barrels the state produced in 2011, when modern drilling technology began pumping new life into the aging Permian Basin in southeastern New Mexico and West Texas. Output last year climbed 17 percent over 2016, when the state produced 146 million barrels. 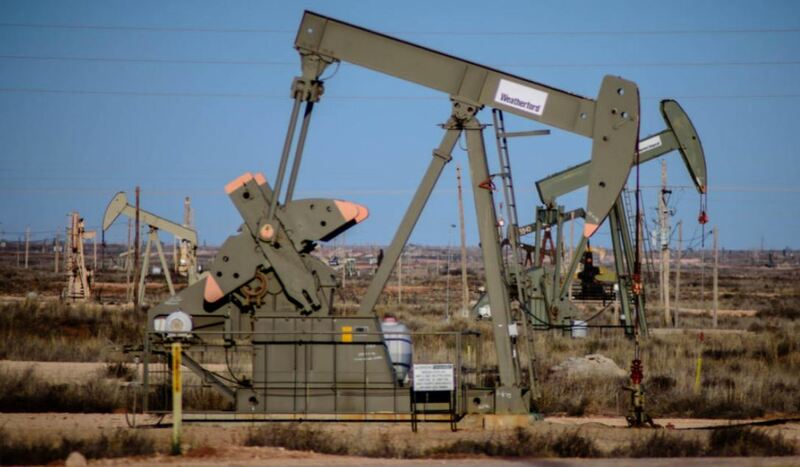 The boom reflects massive investments in the New Mexico side of Permian, where huge companies like ExxonMobil are sinking billions of dollars into new drilling and exploration, said New Mexico Oil and Gas Association Executive Director Ryan Flynn. “2017 was a record-breaking year because of the prolific growth and potential producers are seeing in the Permian Basin,” Flynn said. “Last year, oil and natural gas producers invested more than $13 billion in New Mexico, and these investments are clearly beginning to have an overwhelmingly positive impact.” Many things are fueling today’s gushers. Foremost are hydraulic fracturing and horizontal drilling, which have opened up oil deposits trapped in the basin’s hard shale-rock formations, combined with particularly lucrative pools of hydrocarbons crammed into strategic locations in southeast New Mexico. That includes the Delaware Basin, an oval-shaped rock formation within the Permian that protrudes from southwest Texas northward into Lea and Eddy counties. That area has become one of the country’s most prolific oil and gas zones, producing some of the highest returns for oil firms operating in the United States. http://www.buyswd.com/wp-content/uploads/2019/01/buyswd-header-3-1030x150.jpg 0 0 buyadmin http://www.buyswd.com/wp-content/uploads/2019/01/buyswd-header-3-1030x150.jpg buyadmin2018-06-14 15:02:252018-06-14 15:02:25New Mexico is Booming!